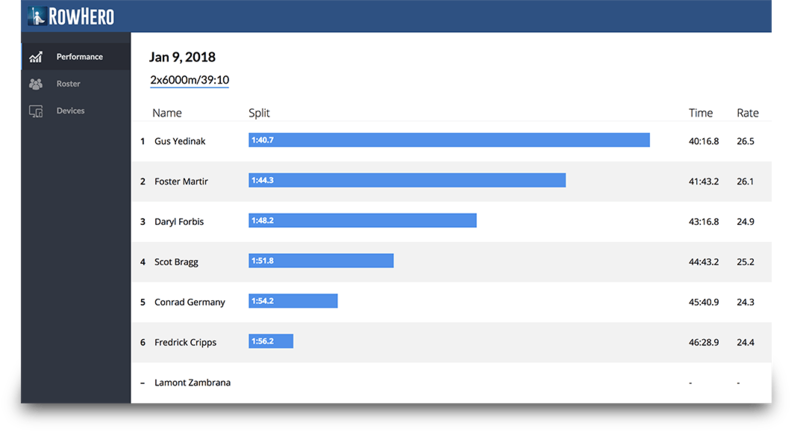 The world's best erg data tracker for teams Coming Fall 2019. Sign up for the beta below. Our tablets connect smoothly to every Concept2 rowing machine and automatically collect stroke-by-stroke data from every time, distance, and interval piece for your entire team. Go beyond just raw data. RowHero provides the most popular metrics like team rankings, weight-adjusted scores, trends for every athlete, and details for every piece, enabling you to make better decisions more quickly to steer your team in the right direction. A better way to unlock your athletes' potential. A room full of rowers means up to hundreds of erg scores to record. Save yourself and your coxswains the headache and get your erg scores instantly after every piece, so you can give feedback faster and keep your athletes on track towards your training plan. Discover where individual athletes are falling behind and tailor your training plan to help them catch up, whether it's strength, endurance, of even the quality of their recovery. "Everybody has a [training] plan until they get punched in the face." Regardless of what you need to adapt, take your investment in on-the-water GPS devices to the next level by automatically breaking down time at intensity for every rower and using it to plan your future workouts. Bring the devices you already use—RowHero gathers their insights all in one place. 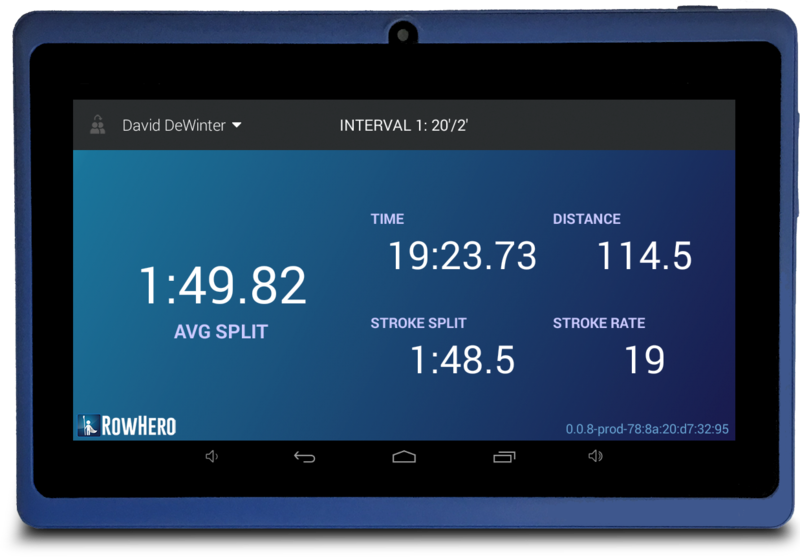 Record your rowing and erg workouts with all your existing devices and download the results automatically to RowHero. RowHero talks to ergs and devices for boats, so you can debrief quickly on your performance against past workouts right after your workout, not hours, days, or even weeks later. Track your erg and boat speed throughout the season to find out how to build on your strengths and eliminate your weaknesses. Even when you move to a new team, your data stays with you. Questions? Ideas? Anything else? We're listening!